The day Andrew Levin arrives at Washington High, Harper O’Malley knows he’ll make the perfect starter boyfriend. The school’s newest band geek is totally in Harper’s league, yet completely out of this late-bloomer’s reach. But even though Harper’s love life is far from perfect, she’s got the perfect plan. 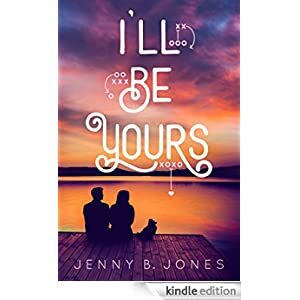 Harper knows she’s insane to agree to tutor Ridley Estes, a notorious heartbreaker and the star of her high school’s football team—but in exchange, he’s offered to school her in the game of love. Just when she sees promise with her crush, a football scandal rocks her family, her town, and Ridley’s entire future. Harper suddenly has everything to lose—her family, friends, and even her heart. When the dust of the scandal settles, nothing will be the same. Buy this sweet, funny romance for teens for only 99 cents today.